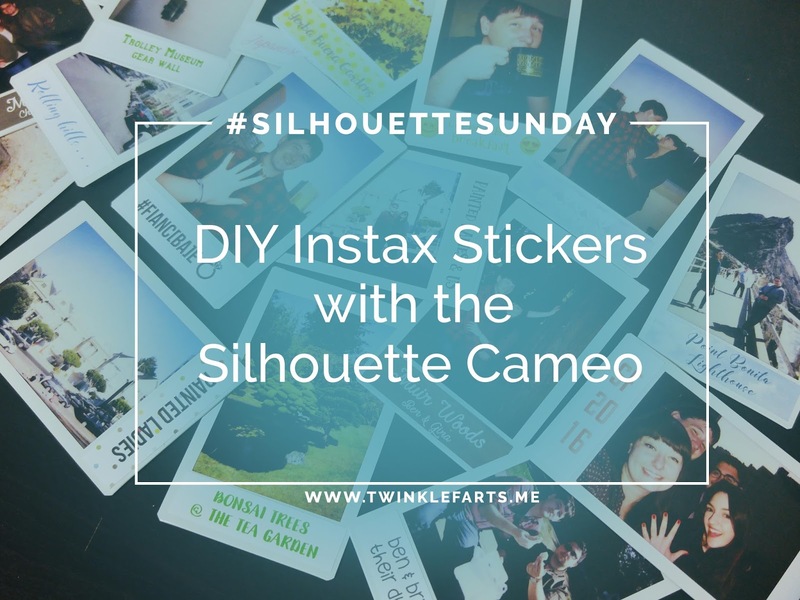 Gone are the days of using Sharpie permanent markers to caption the instant exposures of Polaroid and Instax cameras! I found a marvelous (and adorable) way to decorate my photos from a recent trip to California and wanted to share them with all of you for this week’s Silhouette Sunday! If you’re putting stickers on standard Fujifilm Instax exposures, I’ve already done the measuring for you. To begin, we’re going to be working with centimeters (because the measurements are easier for this versus the standard inches most Americans are used to). 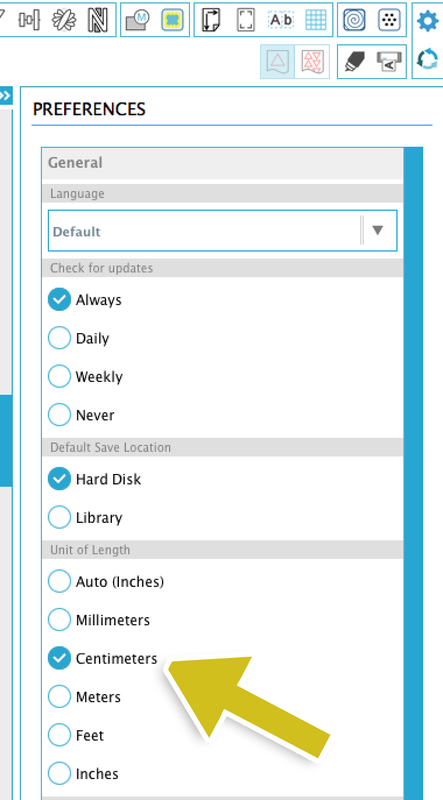 To change this setting, go to the top right of your Silhouette Studio software and click on the gear to get to the “Preferences Pane.” From here, you’ll want to make sure the “Unit of Length” is set to “Centimeters” if you’re using my measurements. If not, use whatever units you’re comfortable with! For my “caption” rectangles, I use 5cm x 1.25cm. This leaves a little room for error around the sticker to the edge of your photo, which you can see in the photos. I personally like the look this gives, but feel free to adjust your measurements as you see fit. After you’ve created the rectangles, go wild! Use text, shapes, emoji and clip art (I found some from a quick Google search) to decorate your stickers. If you’re making a “photo album” like I was, I found it super handy to be able to describe the photo with the sticker. For stickers with a background, you’ll want to duplicate the rectangle (Cmd + arrow key on a Mac or Ctrl + arrow key on a PC) and make it slightly taller and wider than the cut rectangle. The reason for this is that it eliminates the worry of lining up the background “just right” on the cut line. This is called a “bleed!” After you’ve adjusted the bigger rectangle, use the pattern fill tool to fill it with whatever pattern you want. The red rectangle is the cut border, the blue rectangle is the "bleed"
Done designing? Now comes the “fun” part — printing and cutting. In your design page settings panel, be sure to click the checkbox for “Show Print Border.” This shows you your page boundaries for a regular 8.5”x11” sheet of paper (the sticker paper that you will print). 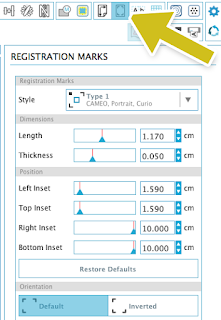 Turn registration marks on by pressing M or clicking the registration mark button in your toolbar. In “Style” select the option for “Type 1” which is for the Cameo/Portrait/Curio. I haven’t used other machines to do this, so I can’t speak for the usefulness with anything but the Cameo, but they *should* be similar. Check to see if your registration marks are within the print border that we turned on a few steps ago. If they are— great! Move on to the next step. 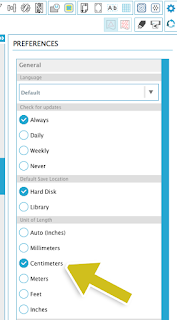 If not, adjust the different inset sliders under “Position” in the registration mark window to move them into that print border. This is crucial! If your registration marks don’t fall within your print border, they won’t print and thus the Silhouette won’t recognize your positioning when it comes to cutting out your pretty stickers! 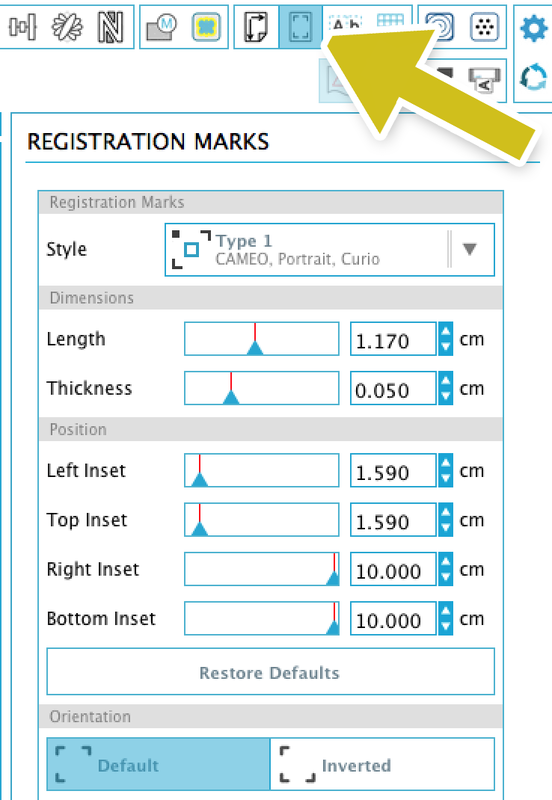 After the registration mark setup, take some time to move your print and cut design[s] so that they are not touching the crosshatching in the registration mark area. If your design does touch this area, there’s no way to be sure the machine will read the marks correctly. Time to print! 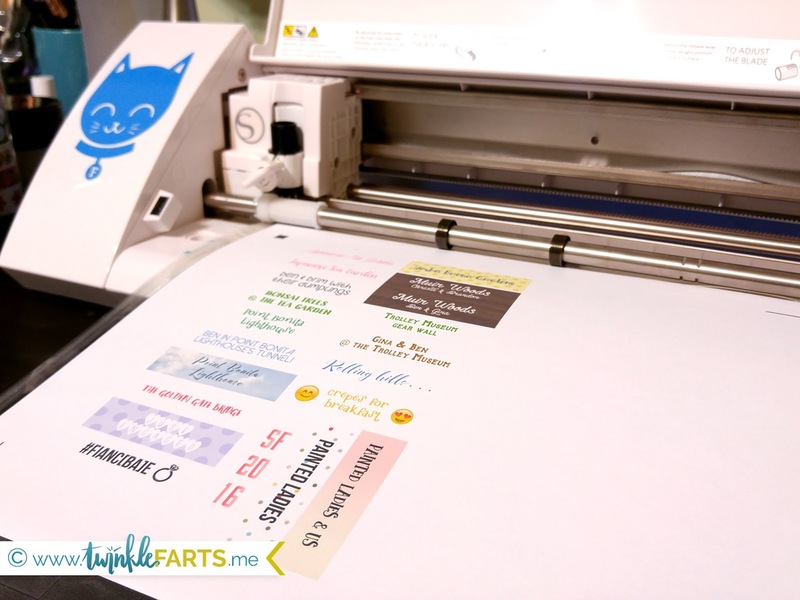 Load your printer with your sticker paper based on your printer’s load settings. For me, this means putting the printable side face down, but that changes depending on the printer. TIP: Draw a star on one side of a regular sheet of paper and put it drawing side up in your printer’s paper tray. Print a test using the regular paper. Take note where that star is on the finished print and insert your sticker paper accordingly. 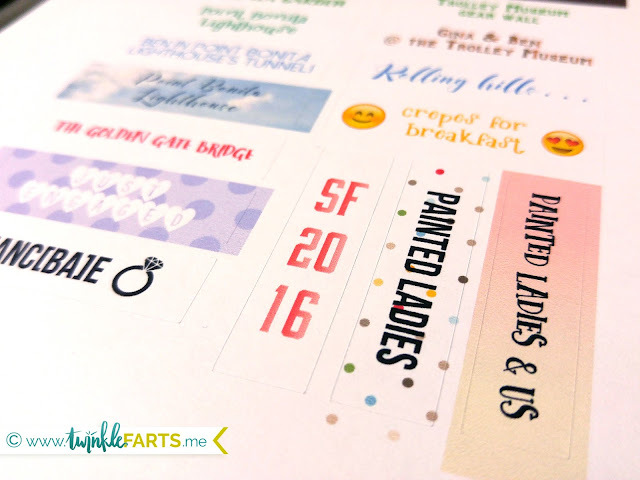 Once your stickers have printed, you’re halfway through the print and cut process! If your paper has all three registration marks, continue on! If not, go back and re-check your registration position settings. For the cutting process, stickers can be tricky. 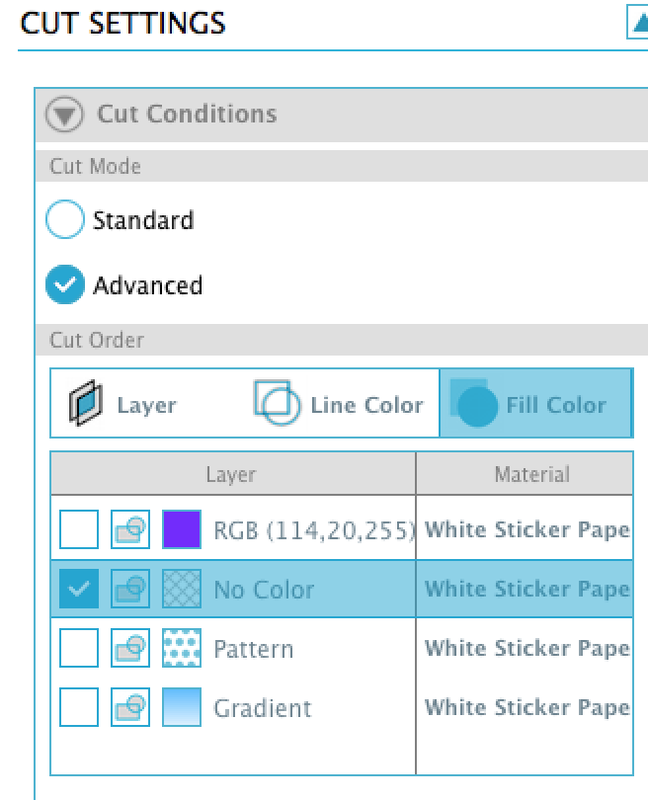 You’ll want to select all your designs (Ctrl or Cmd + A, or Edit > Select All) and within the Cut Settings window, select “No Cut.” This is a great basis. If you’re feeling particularly involved, you can go in and select all the inner rectangles to change to “Cut,” however if you’re like me and have a few stickers with backgrounds, you’ll notice the bleed rectangles make that tricky. Here’s a TIP: go to the “Advanced” cut mode and cut by fill color. If you select “No Color” and deselect all the others, you should only have the outlines of your stickers, since the sticker designs have fills, whether they’re solid colors or patterns. Select the material type (I use the White Sticker Paper preset) and send your cut job! If you followed all the lengthy steps, you should see (and hear) your machine do some thinking with the registration marks (DON’T PANIC! it’s supposed to whizz around to all corners) and then go back to the origin and cut.